The Ani Plaza Hotel was constructed and established on November 29, 1970. In 1998 it was privatized by Ani Enterprises, fully reconstructed and refurbished. 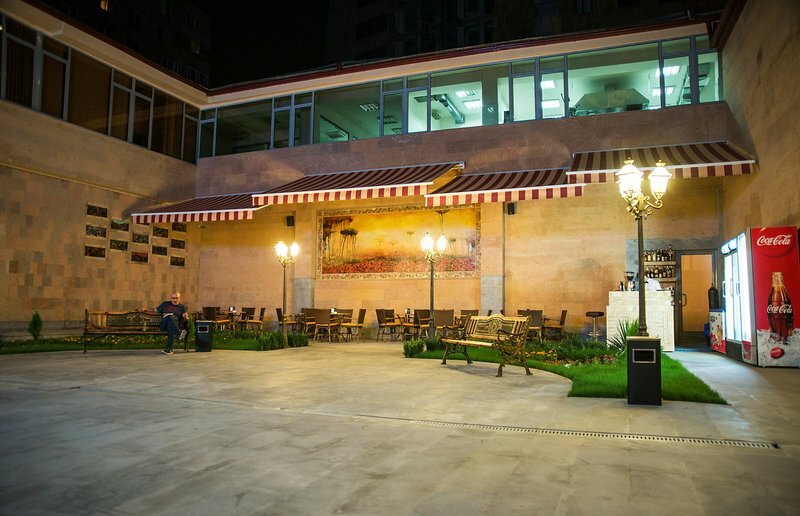 The hotel is comfortably situated in the business and entertainment centre of Yerevan. One can reach the hotel by car within 12-15 minutes from Zvartnots airport. It's only a few minutes walk from the National Gallery, the Opera House, the Matenadaran - the Museum of Ancient Manuscripts, other cultural and historical places, as well as restaurants, clubs, other places of interest and amusement. The hotel offers accommodation in 239 comfortable rooms of Economy, Business Class and Executive Suites. Many rooms overlook the city with a great panorama view of Yerevan and Mount Ararat. Non-smoking rooms are available. All rooms feature climate-control systems, private bathrooms, telephones, satellite television, hair-dryers, minibars. The Ani Plaza Hotel offers modern conference and banqueting facilities for up to 400 persons for conferences, meetings, cocktail parties, presentations and other occasions. Technical equipment available: overhead projector, TV and video, flip chart, simultaneous translation equipment, mobile and stationary microphones, 1 mobile and 2 stationary LCD projectors, a computer and network system with Internet connection and a telephone line. The Ani Restaurant on the mezzanine floor serves traditional Armenian cuisine and popular international dishes. 24-hour catering room-service is rendered. At the hotel's restaurant it's possible to organize coffee breaks, cocktail parties, buffets, business lunches and group dinners. Other facilities of the hotel include: a business centre, self-service deposit boxes, a swimming pool, a sauna, a well-equipped gym and a massage room, a beauty parlour, 24-hour currency exchange office and taxi service.